Jason JanikRhett Miller appears as lead singer of the alt-country band Old 97's, Sunday, July 12 at Belly Up Aspen. Miller will also do his own opening set. ASPEN – Rhett Miller’s new album opens with a brief epigram from “Infinite Jest,” the massive, complex 1996 novel by the late David Foster Wallace. The quote itself is brief, and not especially weighty; it references various aspects of nature: beach, sand, rain, sky, tide. But the mere act of invoking “Infinite Jest” can be taken as a signal that Miller is thinking big, that his album – titled “Rhett Miller,” even though it is his fourth release under his own name – is a work of ambition. Not to mention thoughtful and literate. For an album of songs about love and the lack thereof, “Rhett Miller” reveals an honest effort at constructing stories. “Happy Birthday Don’t Die” imagines a 100-year-old woman, a century from now, who has sent her seven sons off to distant planets, and needs a reason to continue living. Set to a buzzing alternative rock sound reminiscent of Camper Van Beethoven, it is a swing for the sci-fi fences. “Rhett Miller,” though, doesn’t represent the sum total of Rhett Miller’s ambitions. Apart from making albums under his own name, Miller is also the leader of the Old 97’s, a band that has yet to make it mainstream big, but with seven studio albums and 15 years behind it, has become a strong presence in alt-country or Americana music. The Old 97’s latest album, “Blame It on Gravity,” was released in May 2008. Miller goes big when he appears Sunday, July 12 at Belly Up. The show features a solo set by Miller (as well as one by Old 97’s bassist Murry Hammond), with Old 97’s – which also features guitarist Ken Bethea and drummer Philip Peeples – closing the night. At times, Miller’s vision even exceeds the bounds of the three and a half-minute rock song. His short story, “Tinder to the Day I Die,” was published in May in the collection “Amplified,” alongside narrative works by fellow singer-songwriters. Before that, he contributed a very short piece to the literary journal McSweeney’s, and here again he removed his narrative voice from his real self, writing about an abusive relationship from a female perspective. Miller says he could see himself someday writing a novel, commenting that Kurt Vonnegut didn’t publish a novel till he was in his 40s. (To set the record straight, Vonnegut published his first novel at 30, but went seven years before publishing a second.) In this theoretical second career as a novelist, Miller is content to settle for less than timeless literature. For the moment, Miller is looking at a project that might put his own writing on hold for a while. He is thinking of joining the “Infinite Summer” movement, started by a group of readers who are spending this summer reading David Foster Wallace’s “Infinite Jest.” All 1,088 pages of it. If Miller is considering a new line of work, it might be because he has been at music for a relatively long time. At the age of 15, while attending a private school in Dallas, he met Murry Hammond, five years Miller’s senior. Hammond tugged at Miller, recording Miller’s first CD and then dragging the teenager into his band, Peyote Cowboys. Miller escaped music and the hold of Hammond when he earned a full scholarship to study creative writing at Sarah Lawrence College. But Hammond talked him into dropping out to start “a succession of bands with terrible names,” said Miller, the first of which bore the name Rhett’s Exploding. The music seems to have been a cut above the names. As the alternative-pop trio Sleepy Heroes, Miller and Hammond landed a record deal – but broke up the day they received their first box of records, when new facts came to light about the group’s drummer. Miller quit music for six months. He spent the time off, he says, dating a Cuban woman – the memory prompts a wistful sigh from Miller – and writing songs. He imagined following the footsteps of Daniel Johnston, the emotionally unstable Texas songwriter who has become a deep-underground sensation, and making music without being attached to the business end of things. Eventually, though, he regrouped with Hammond with the idea of forming “a coffeehouse country-folk duo that had no chance of being successful,” said Miller. In short order, that duo became the Old 97’s, named for the Johnny Cash song, “Wreck of the Old 97.” The original drummer was booted when all parties agreed he was better suited to being a lead singer; Philip Peeples, the actual owner of the band’s drum kit, joined up and the lineup was solidified. The band announced its presence with the 1994 debut, “Hitchhike to Rhome”; by 1997’s “Too Far to Care,” they had been signed to a major label, Elektra. In 2002, Miller relaunched his solo career with the release of “The Instigator.” He followed with another solo album, 2006’s “The Believer.” The solo work has given him an opportunity to stretch beyond the limits of a band. In a way, though, Miller has brought more of himself into his solo records. 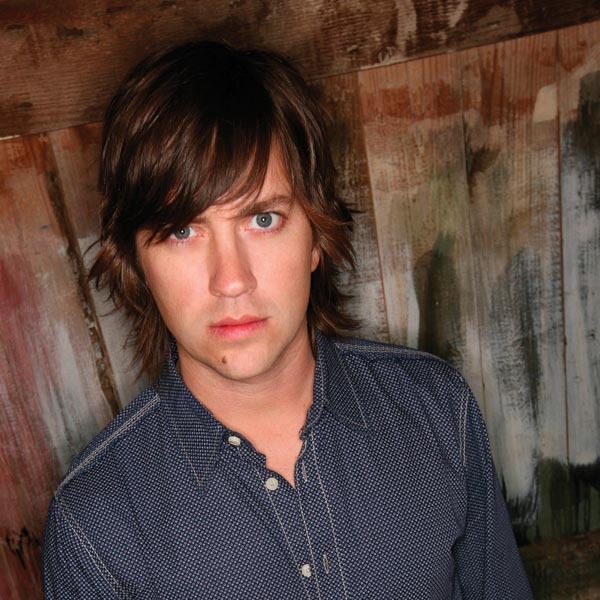 Calling his new album “Rhett Miller” had a purpose. One thread that ties the two strands of his musical life together is the subject of the songs. Almost all of Miller’s lyrics are about romance, relationships, love. “I come from a background of really loving folk music,” said Miller, who moved from Texas to Los Angeles to the Hudson River Valley town of Gardiner, where he and his family, including two young children, have lived the past six years. “But protest music – I never felt comfortable telling people what their stance should be. And it didn’t seem like fun. Fans of the Old 97’s’ style of punkish country shouldn’t worry about the rise of Miller’s solo side. The Old 97’s aren’t being driven off into the sunset.